GRE Alpha was recently invited to present as an honored speaker at the 22nd annual Guangzhou International Lighting Exhibition Convergent Future Forum sponsored by Guangya Messe Frankfurt Co Ltd. Mr. Kelvin Kwong, Product Marketing Manager at GRE Alpha, will present on the “Importance of Dimming Performance in Smart Lighting” on June 9, 2017, at 4:30 PM. Held from June 9 to June 12 in the China Import and Export Fair Complex, informational session topics will cover essential technologies and applications for smart lighting, including IoT platforms, Li-Fi technology, smart data, smart dimming controls, and wireless mesh networks, among others. GRE Alpha aims to act as the interface between smart lighting protocols and the lighting designers' vision,providing building blocks within a lighting system that allow consumers to easily adopt smart lighting technology. In addition to the speech by Mr. Kwong, the company will also be displaying several of its LED dimming modules and its XLAV series product line. The forum, which will feature fellow industry leaders such as Trusted Link Technology Ltd,XlinkIoT Platform, Fudan University, Velmenni, Philips Lighting (China), DEKRA, and Xicato Inc., will focus on lighting accessories, components and equipment, LED technologies, and luminaries, diving deep into LED applications as well as smart lighting capabilities. According to Fong, the key to market adoption hinges on whether the industry can converge on protocols used to allow for proper function in a variety of lighting equipment. GRE Alpha is proud to be at the forefront of developing smart lighting controls that allow for seamless integration of various IoT lighting protocols with LED lights, allowing for rapid adoption and enhancement of lighting systems. The GRE Alpha team is looking forward to the Convergent Future Forum and to showcasing its innovative LED lighting management system solutions with event attendees. The 2016 Guangzhou International Lighting Exhibition involved more than 2,400 exhibitors from 23 countries and regions spread out across 17 halls. 145,080 visitors from 37 countries and regions attended the 2016 lectures, and the Guangzhou Guangya Messe Frankfurt Co team is expecting similar turnout in 2017. For more information about the forum, or to register for a visitor pass, visit the Messe Frankfurt website. For more information about LED drivers, dimming modules and accessories, or to speak with a GRE Alpha product expert, visit the Enquiries page and fill out the Enquiry Form. UL is a global independent safety science company with more than 120 years of expertise innovating safety solutions. The company advises, audits, certifies, educates, inspects, tests, validates and verifies to maintain safety standards and compliance in manufacturing. When UL has tested representative samples of a product and determined that it meets UL’s published, nationally-recognized Standards of Safety requirements, the product is given a UL Listed designation. The designation UL pertains to the United States, and cUL is the Canadian designation. While a UL listing designates that a product has been tested by UL, meets nationally recognized safety standards, and has been found free from reasonably foreseeable risk of fire, electric shock and related hazards, another similar-looking designation means something slightly different. UL Recognized Component Marks verify that a product has been tested, but that it is a part or component of a larger product. Components can be used to complete or add to end products and systems, but additional installation precautions may be necessary to ensure safe use. It is important to understand how UL Recognized items work to implement the items safely. When an LED driver is listed as UL Class 2, it complies with UL standard UL1310 indicating that energy output of the device is safe to touch with no major safety protection required. A UL Class 2 listed item will not carry a risk of fire or electric shock at the LED and luminaire level, operating below 60 volts in dry applications, 30 volts in wet applications, 5 amps, and 100 watts. This safe output restricts the number of LEDs the Class 2 driver can run, but will be safe for use without additional safety measures in place. UL Class 1 drivers, on the other hand, possess output ranges that exceed UL Class 2 guidelines. Class 1 drivers have high-voltage output which requires safety protection within the LED lighting fixture. Class 1 drivers can run a higher number of LEDs than a Class 2 driver, making it more efficient in terms of energy output, but as such requires putting additional safety measures in place. GRE Alpha’s Easy-Install XLD Series is the industry’s only integrated UL listed Class II solution on the market. Boasting universal AC input, integral wiring compartments for reduced installation costs, constant current and constant voltage dual mode operation for flexibility and optimal performance, the XLD Series offers up to 92 percent efficiency and heavy duty design for harsh environments. Other features include user-adjustable output voltage and current, 1-10V dimming options with SLD SmartDim series dimming modules, active power factor correction at PF>0.9, up to four combinable output channels, built-in protection (SCP, OTP, OVP, OCP), IP 65 standalone enclosure, and UL/CUL listed Class 1 and 2, CE, FCC Title 47 CFR 15 Class B, CQU certifications. It has been an eventful year for GRE Alpha. With several exciting events like a successful showing at the March 2017 Nikkei Messe Tokyo Big Sight Lighting Fair in Tokyo, Japan, a new office launched in Tokyo, and a growing list of exciting products introduced, 2017 is set to be one of the best years yet. The XLAVP 100 is a 100 Watt, universal input UL Listed class 2, constant voltage, dimmable LED driver capable of providing full-range, zero to 100 percent smooth, flicker-free dimming. Tested with over 70 dimmer brands on the market, this unit works with both forward/reverse phase (TRIAC/ELV) type dimmers, and is unsurpassed in dimmer compatibility and performance. 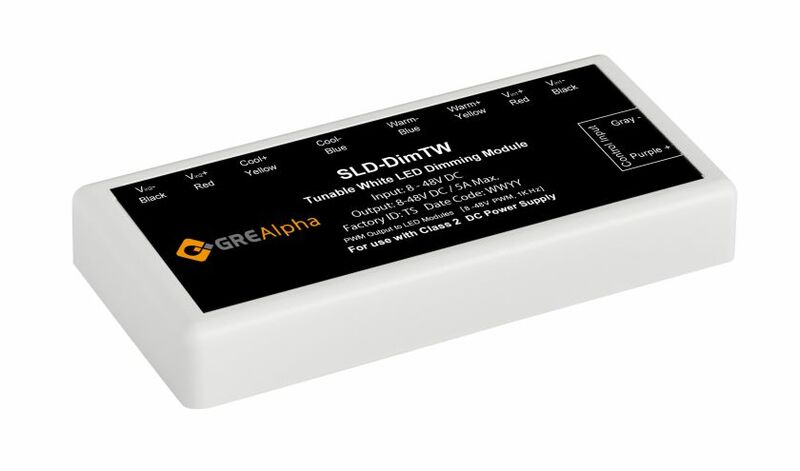 GRE Alpha’s Tunable White SLD-DIMTW dimming module is the perfect solution for VC-type dim-to-warm and warm dimming applications. A constant voltage tunable white LED dimming module, this unique 0-10V/1-10V device provides a control signal and enables smooth, dynamic color temperature shifts of 2000K to 8000K. Depending on the application situation, this plug-and-play dimming module creates eye-catching, color temperature changing effects without color distortion. The SmartDim Module is an intelligent IoT dimming module that works with the latest IoT-enabled home devices. It easily connects wirelessly to gateways such as a SmartThings hub or other ZigBee-enabled wireless hubs, instantly converting non-internet LED lighting systems into IoT-enabled smart lighting management systems. 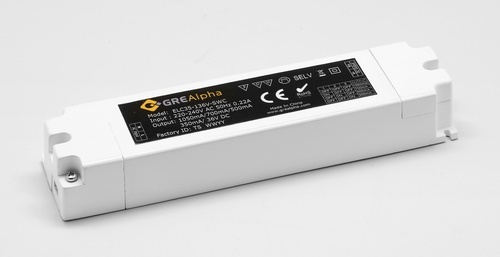 The GRE Alpha offers various dimming applications including the SwitchDim, DALI dimming module, 0-10V/1-10V, DMX lighting controllers and more. GRE Alpha’s dual mode, Easy-Install XLD Series features a patented easy-install enclosure which simplifies wiring and makes installation much simpler, creating cost savings through decreased manual labor and improving reliability of the LED grow lighting system. With universal AC input, integral wiring compartments, constant current and constant voltage dual mode operation, user-adjustable output voltage and current, 1-10V dimming options, compatibility with the SLD Smart Dim dimming module, and up to 92 percent efficiency, GRE Alpha’s easy-install products like the XLD75 and XLD200 are flexible, efficient and reliable, and provide an optimal solution for horticultural LED applications. Independent-type LED drivers with terminal block connectors, up to 88 percent efficiency, and current selectable via an onboard dip switch, the ELC Series allows for lower stock keeping units (SKU). It has been designed to allow users to overdrive and underdrive their LEDs without the necessity of purchasing a new LED driver, and interfaces well with chip-on-board partner LED components. Offering SCP, OTP, OVP and OCP built-in protection, the new ELC Series has also been optimized to work with protection class I and II luminaires. GRE Alpha is currently showcasing its innovative LED products at ERG Lighting Booth number #332 at the 2017 LIGHTFAIR International (LFI) event in Philadelphia, PA, USA. Company representatives will be present at the fair, and interested parties should email sales@grealpha.com to set up a meeting with the GRE Alpha team. Click here for more information about the LFI event. For more information on GRE Alpha, or to contact a GRE Alpha service representative to schedule a one-on-one appointment with a technical expert, visit http://www.grealpha.com. Ever innovating in LED lighting technology, GRE Alpha is proud to introduce its new ELC Series. The ELC Series is comprised of constant current LED drivers designed to work seamlessly with both chip and board-based LEDs. GRE Alpha is committed to high-performing LED components and the generation of new, improved LED products. The ELC Series has received the Energia y Celulosa (ENEC) high efficiency rating and is both C-Tick and CB-approved. Having passed the highest standard of testing available, the new constant current LED driver offers an input voltage of 220-240 and is suitable for use throughout Australia and Europe. Though the new product aims to eventually deliver reliability and LED power to all users, it does not currently offer universal input and cannot be used safely in the Japan or North America markets. In addition to launching the new ELC Series, GRE Alpha is also proud to announce its new COB product matching tool on the http://www.grealpha.com/ website. This new function will allow users to simply match the relevant brand of chip-on-boards to the new ELC series for easy reference and purchase. Click here to access the tool. GRE Alpha looks forward to showcasing even more innovative LED products at future tradeshows and events, including the upcoming 2017 LIGHTFAIR International event in Philadelphia, PA, USA. The LFI conference and tradeshow will be held from May 9 to May 11, 2017. Click here for more information about the event. For more information on GRE Alpha, or to contact a GRE Alpha service representative to schedule a one-on-one appointment with a technical expert, visit http://www.grealpha.com/. When using grow lights in horticultural applications, multiple factors contribute to overall project efficiency. These include the lifespan of the lighting system, intensity and uniformity of light distribution, a system’s energy usage, and lighting spectrum, among other aspects. Horticultural lighting transforms electricity into photosynthesis-driving energy for plants, and effective grow lighting leads to a more productive crop yield. LED lighting is at the forefront of lighting system efficiency. It offers a wide variety of solutions for both indoor and outdoor applications that top traditional lighting in efficiency, lifespan, ambiance, and cost. As in other lighting applications, horticultural LEDs have proven themselves more efficient than traditional grow lighting systems—including in controlled environment agriculture (CEA) setting. Boasting longer system lifespans, higher photon efficiency, better performing system elements, general cost savings, improved temperature regulation and range, increased spectrum regulation, and more effective light beam control, grow lighting systems featuring horticultural LEDs are paving the way in agricultural innovation and urban farming. All plants have the same needs—including nutrients, air, water, and an optimal temperature setting—but require a different combination of factors to grow most efficiently. Horticultural LEDs support the growing process through augmented light waves designed to enhance photosynthesis. LED grow lighting systems can be as small or as large as a designer desires, depending on the purpose of the system and the lighting components used. These systems are customizable to fit the needs of crops or yield goals through a variety of LED lighting products. Why use LED grow lights instead of traditional systems? Urban farming systems are constantly exposed to moisture, humidity, and higher-than-average temperatures to increase plant growth. 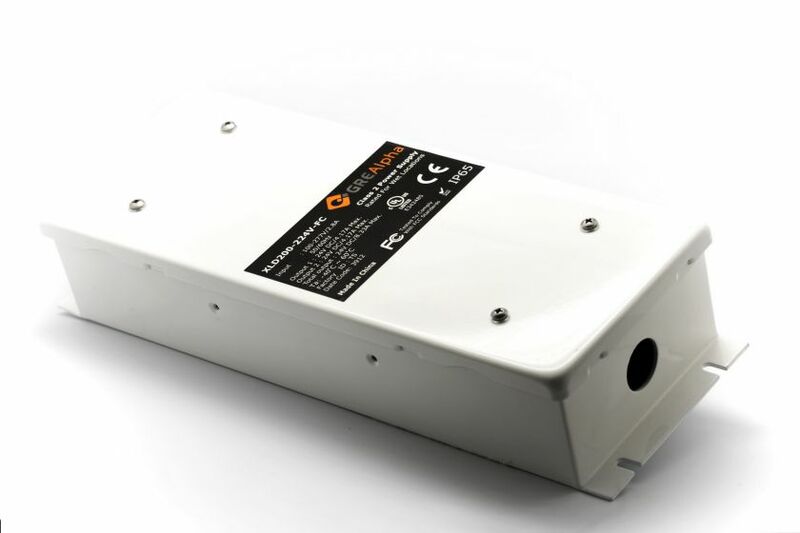 LED drivers are designed to withstand these conditions, and can more precisely tune and deliver appropriate lighting for different crops as needed. The adaptability and reliability of horticultural LED applications make LED grow lights the obvious choice for urban farming situations. An important aspect of LED grow lighting is the use of proven products. Horticultural lighting, like any lighting management system, is only as productive as the products it employs. GRE Alpha is excited to share the agricultural applications of some of its best and most efficient LED lighting components. GRE Alpha’s dual mode, Easy-install XLD Series features a patented easy-install enclosure which simplifies wiring and makes installation much simpler, creating cost savings through decreased manual labor and improving reliability of the LED grow lighting system. 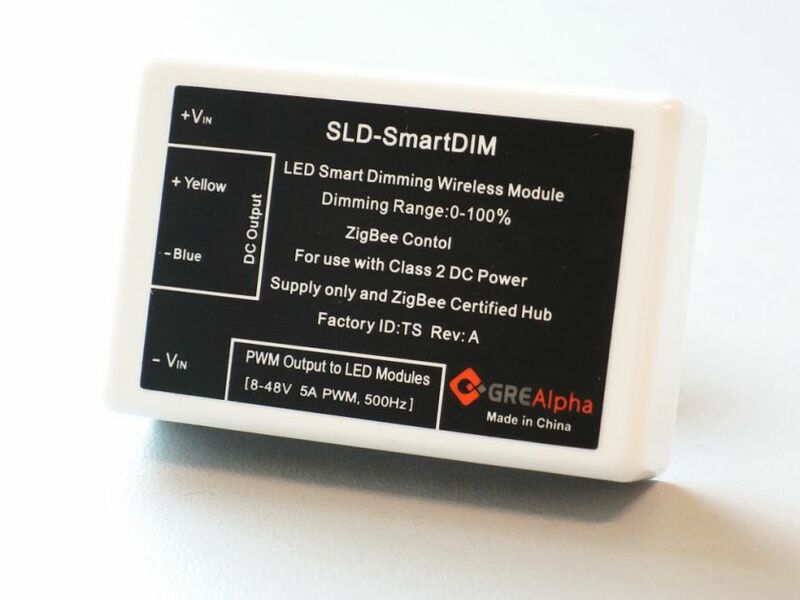 With universal AC input, integral wiring compartments, constant current and constant voltage dual mode operation, user-adjustable output voltage and current, 1-10V dimming options, compatibility with the SLD Smart Dim dimming module, and up to 92 percent efficiency, GRE Alpha’s Easy-Install products like the XLD75 and XLD200 are flexible, efficient, and reliable, and provide an optimal solution for horticultural LED applications. The adaptable XLD series can be applied in LED grow light settings to enhance crop yield. Aside from being easy to install, the XLD series is customizable for energy output and temperature regulation, spectrum, light control, and other crucial elements of a horticultural LED system. As the world becomes more connected, more SMART applications for LEDs arrive, and the population continues to grow, LED grow lighting and horticultural LED applications will continue to increase as well. Each LED lighting system is different, and the quality of the products involved determines efficiency and output. Productivity of horticultural lighting systems depends on a variety of factors, and using products specially designed with agricultural applications in mind will make a huge difference in the future of horticultural LEDs for controlled environment agriculture. GRE Alpha looks forward to showcasing even more innovative LED products at future tradeshows and events, including the upcoming 2017 LIGHTFAIR International event in Philadelphia, PA, USA. The LFI conference and tradeshow will be held from May 9 to May 11, 2017. Click here for more information about the event.For more information on GRE Alpha, or to contact a GRE Alpha service representative to schedule a one-on-one appointment with a technical expert, visit http://www.grealpha.com/.